In Kansas, police were forced to shoot a mentally disturbed woman that was threatening officers with a firearm. 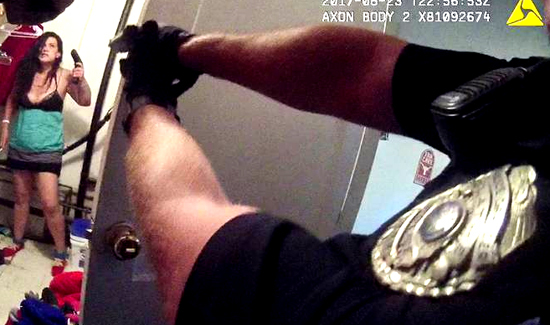 The shooting was captured on police body cameras. In the video the woman can be seen shouting and trembling in a small room with a gun in her hand. At one point she pointed the weapon at officers after refusing repeated commands to drop the gun. The shooting was ruled justified by a local prosecutor.